Home » Posts Tagged "Apple Cider Vinegar"
Apple cider vinegar is one of the oldest, most powerful, healing home remedies imaginable for allergies. 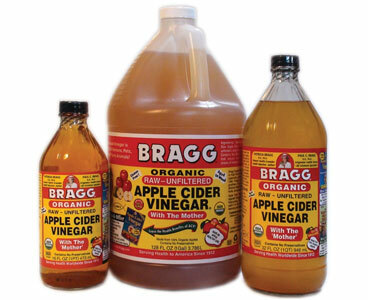 Apple cider vinegar is one of the most important remedies in healing the body if you can get over the taste. It has a number of reported uses including a complete relief of pollen, food, pet allergies and sinus infections. If you live in a highly polluted area like Los Angeles where allergies and sinus infections are rampant, your system may better balance itself with a small dose of apple cider vinegar each day.